We're already back at it next Monday, April 18 with Distortion's next live show of the season! 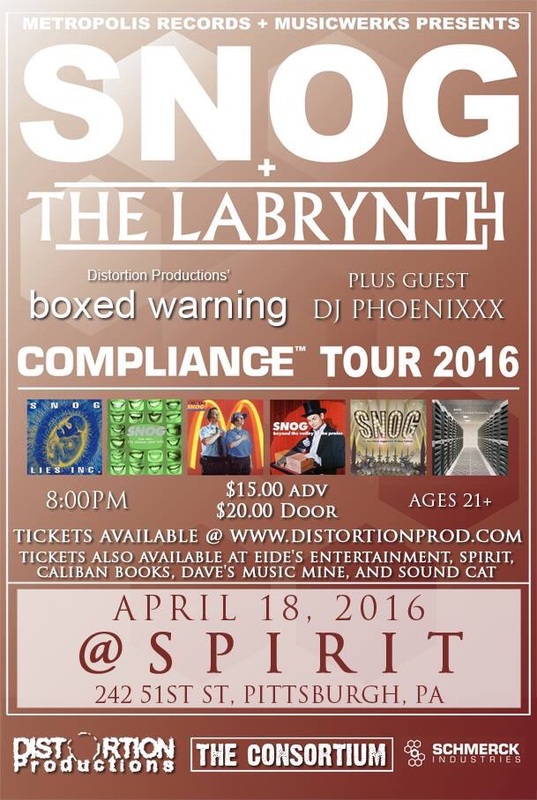 Industrial icon Snog will be headlining, supported by The Labrynth. But even better--Distortion artist boxed warning will open the show with his stimulating total sensory experience! You won't want to miss this! Additional support will be provided by special guest DJ Phoenixxx. Held at Spirit in Lawrenceville, this show is 21+. Doors are at 8 p.m. Tickets are $15 in advance here or $20 at the door. Don't leave us hanging--take advantage of your next chance to come dance!